Leave the hoses and messes of filling a growler behind and meet the Micro-Matic Growler Filler. With a simple touch-screen interface you'll be filling growlers much more quickly and efficiently by letting the filler do the work for you. Learn about JT Eaton's lines of mouse traps! 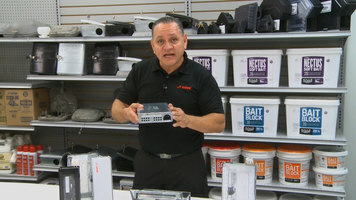 They each catch multiple mice at one time, helping to keep your establishment pest free. 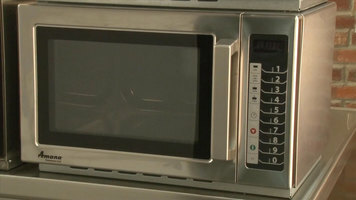 Learn all about the features and programming of Amana’s medium volume microwave ovens. With exclusive benefits such as programmable key pads, staged cooking, and more, you’re sure to find an Amana medium volume microwave that best suits your needs. Stop smashing, bruising, and serving improperly cut tomatoes. 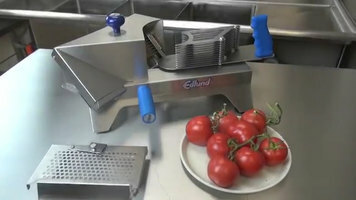 Watch this video to see how the Edlund Tomato Laser can save you time while consistently delivering perfect tomato slices!